Here at SportsEddy, we are pretty passionate about the game of football. Our Colorado football camps are no-contact, eliminating much of the risk of injury in this aggressive sport. So we were saddened to see a tragic article in the news recently, about a high school football player in Texas who suffered so many concussions that he is disabled at the tender age of 20. 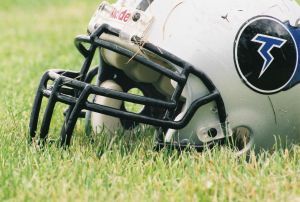 He is currently suing his coach and his former high school, claiming his high school football coach and school district showed "no concern" after any of his many head injuries, leading to his permanently debilitated condition. Frankly, this article is pretty painful to read, and it makes us wonder how much of this type of thing is happening to our young athletes around the country. According to the lawsuit, "the School District has covered up the facts surrounding plaintiff's injuries; it has refused to investigate or appropriately respond to the report of a serious injury; it has retaliated against an injured child, it has branded his family as a problem for the School District; and it has refused to alter its educational services in any meaningful way to accommodate the injury that Coach Woerner and other members of the football program caused." However, when reading the account of what happened, one really has to wonder why the parents of this child continued to let him play, when his physical condition was so poor... Three physicians have stated that they believe this young man received 30 - 40 concussions and sub-concussive hits while on the field. Without going into all the gory details, what we want to point out is that everyone shares in the responsibility for keeping our kids as safe and healthy as possible, when playing high school football. The coaches, the school, and the parents share equal responsibility. We sincerely hope that this is an isolated incident. ~ Repeating a question or other remark over and over, such as "What happened to me," even after being told the answer. ~ If the injured athlete does not regain consciousness after two minutes, or the injury is very severe, it's important to prevent movement of the head and neck, because spinal injuries may be present. Call 911 immediately in such a situation. We sincerely hope that all high school and other football coaches take it as an important responsibility to learn the warning signs of concussion, as well as how to treat it. It goes without saying that no-one should risk a child's health or well being for the sake of a game, a scholarship, a championship, a record, or any other reason. Click here for more information about concussions. As a high school oficfial I have seen the evolution of concern over concussions, and rightly so over the last several years. A release was just sent out 2 days ago by the PIAA, the governing body for school sports in PA. It itemized the rules to be followed if an athlete shows any signs of concussion at all. He/she may not re-enter the game unless a doctor (not a trainer) is on staff at the game and authorizes it. In other words that athlete is pretty much done if the the oficfial feels so. I believe this is the right approach. In my 39 years of officiating I’ve seen some serious head injuries that were not treated with the same caution and could have resulted in tragedies. When I was a football player years ago I suffered several concussions, and went back in the game. I remember that feeling, and it was very unpleasant, but I did what the coach told me to do. This is why informed adults need to be in charge of situations like this, because the athletes will do whatever the coach instructs. Thanks for your comment Katia. I’m glad to hear about PA’s new rules and sincerely hope they are adopted by every state in our country.